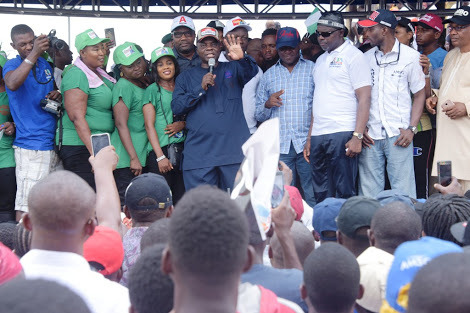 The entire stretch of Ikorodu road from Anthony to Maryland and other adjoining community roads were on lockdown yesterday as political supporters and loyalists of Governor Akinwunmi Ambode under the aegis of Ambode Mandate Support Group (AMSG) staged a political rally. 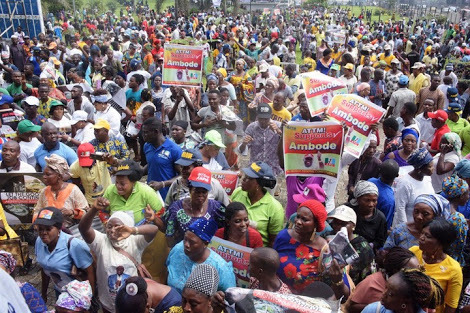 The supporters converged on the premises of the State Universal Basic Education Board (SUBEB) in Maryland, Lagos Mainland, and marched through Ikorodu Road to Gani Fawehinmi Freedom Park in Ojota, where they were joined by others who came from other communities on the Lagos Mainland. Speaking at the rally, a member of the Ambode Mandate Support Group (AMSG), Yusuf Azeez said; “We are solidly behind our man Ambode. He is going nowhere and would rule Lagos for another four years."